The knowledge of SSTR expression in tumors and normal tissues is a prerequisite for clinical investigations with somatostatin analogs. Indeed, the high expression of SSTRs in tumors represents the molecular basis for novel diagnostical and radiotherapeutical applications of somatostatin analogs (67, 68). Moreover, the presence of SSTRs may, in some instances, such as neuroblastomas, represent a good prognostic factor for patient survival (69, 70), while the absence of receptors is related to early death. Furthermore, the absence of SSTRs, such as sst2 in pancreatic cancers, may represent a significant growth advantage to these tumors (17). 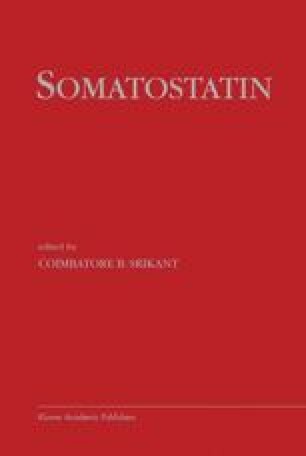 One of the main challenges for the future will be to unravel the various physiological and pathophysiological roles of somatostatin mediated by SSTR subtypes, and identify potential therapeutical indications for the newly developed subtypeselective somatostatin analogs (27–29).